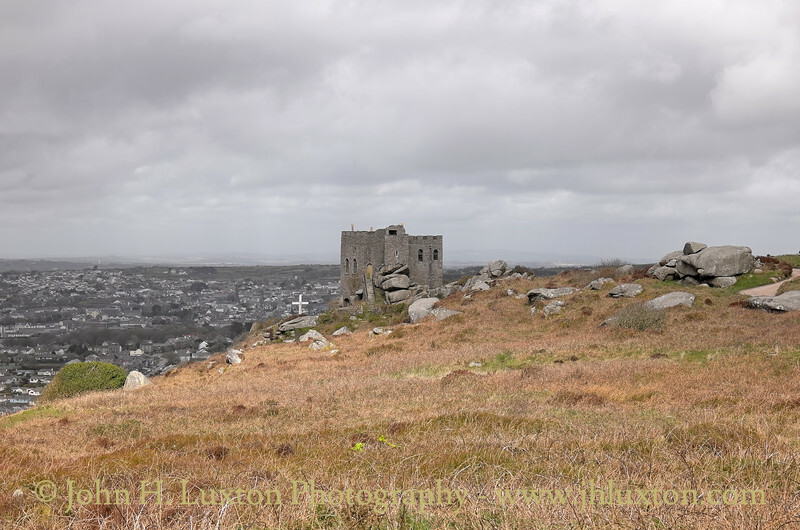 Carn Brea (Cornish: Karnbre) is a civil parish and hilltop site in Cornwall, United Kingdom. 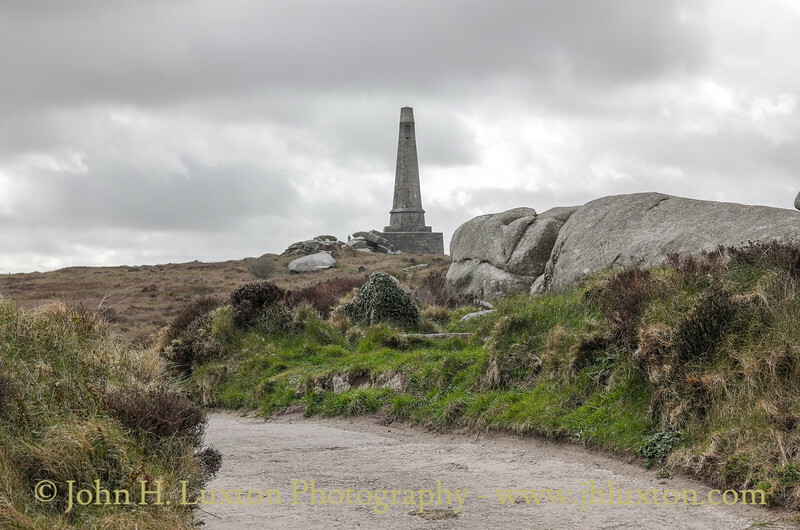 The hilltop site dominated by the Basset Monument and Carn Brea Castle is situated approximately one mile (1.6 km) southwest of Redruth. 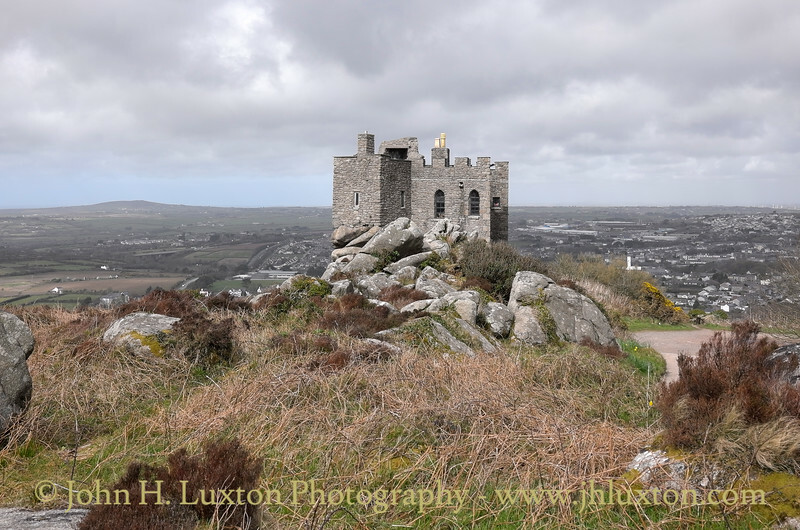 Carn Brea Castle (a grade II listed building) stands near the top of the hill. 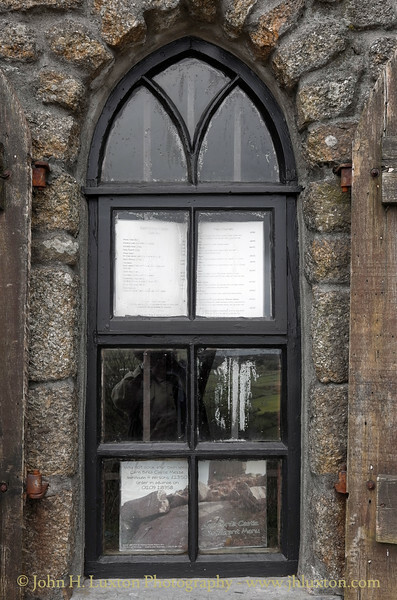 It is built on the site of a chapel built in 1379 probably dedicated to St Michael. 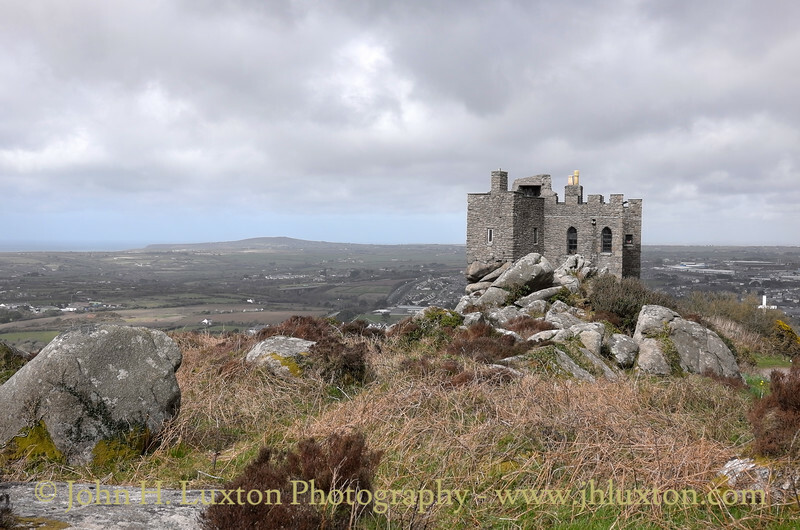 The castle was built in the 18th century by the Basset family as a hunting lodge. 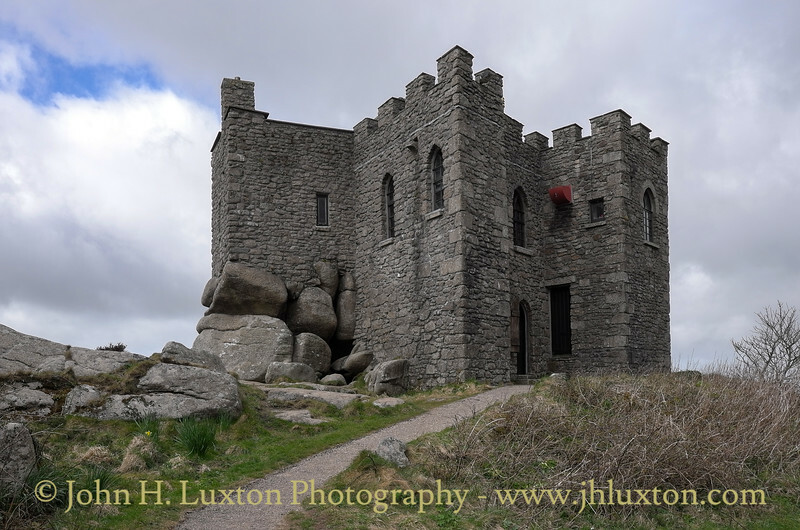 It is considered to be a folly built on the huge uncut boulders that make up part of its foundations, giving the impression of the building melting into the land. 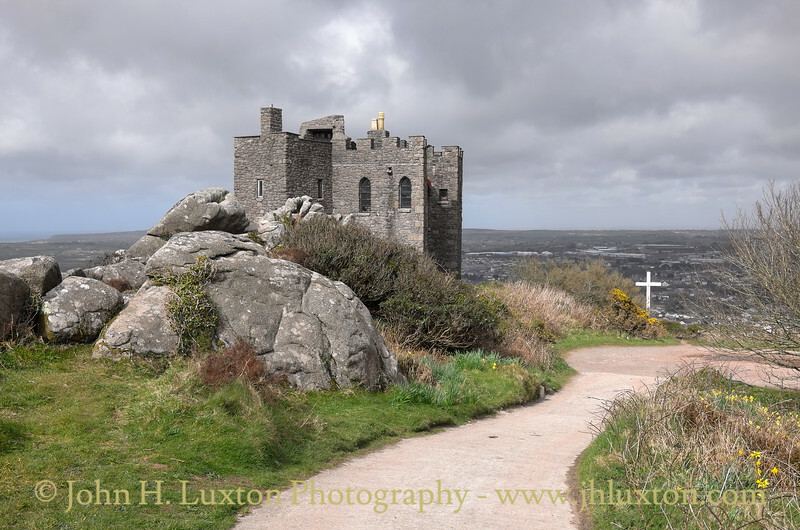 Since the 1980s the Castle has been used as a restaurant trading as “Carn Brea Castle Restaurant”. 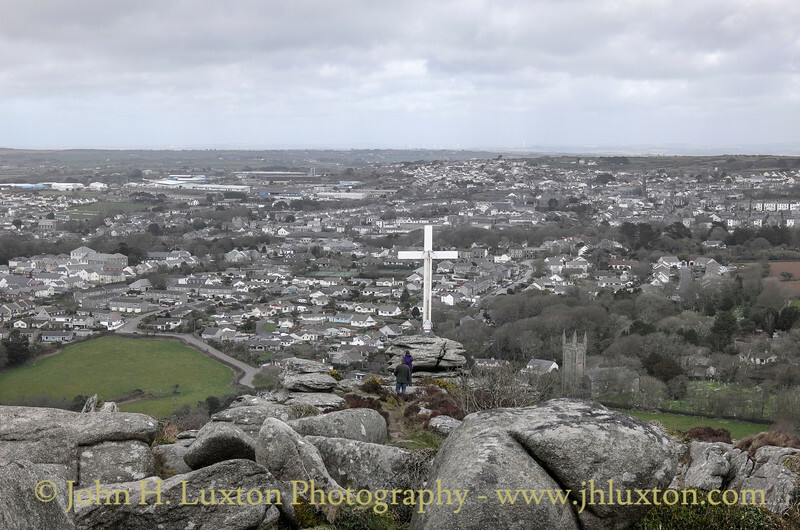 At the highest point of Carn Brea hill is a 90-feet high (27m) Celtic cross erected as a monument to Francis Basset, 1st Baron de Dunstanville and Basset (1757–1835). 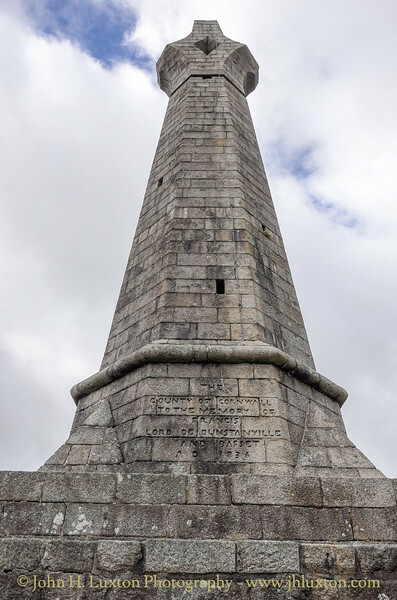 Basset, a mine owner, gained his titles for erecting earthworks to defend Plymouth from combined French and Spanish fleets in 1779, and suppressing a miners' "food riot" in 1785. 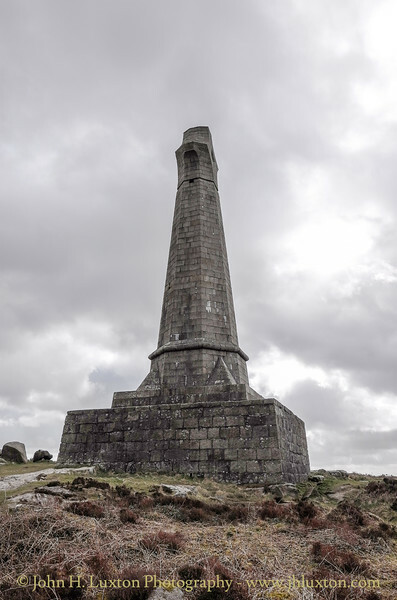 The monument was erected by public subscription in 1836. 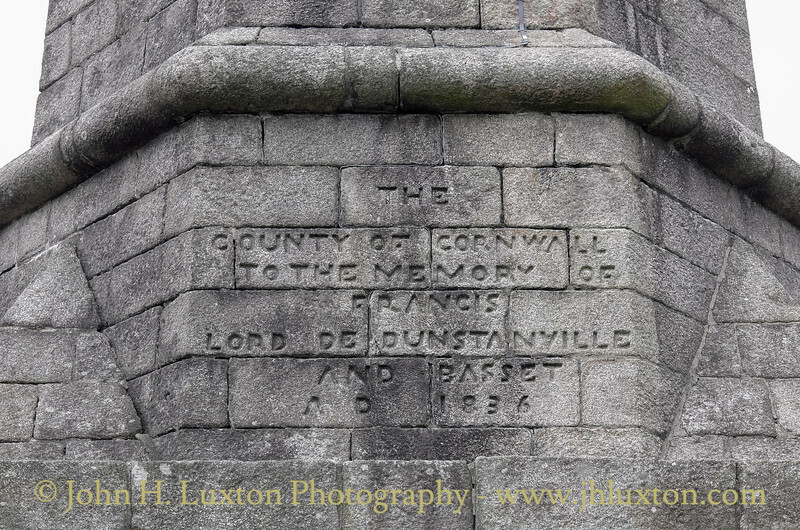 It is inscribed "The County of Cornwall to the memory of Francis Lord de Dunstanville and Basset A.D. 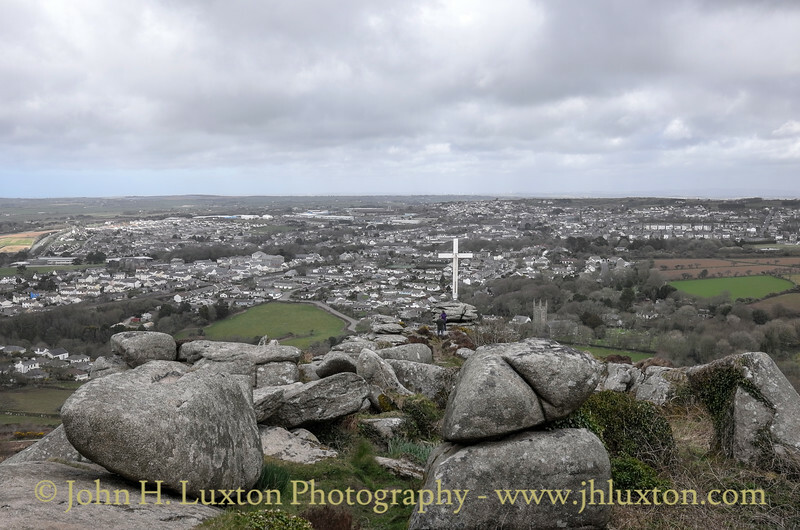 1836." 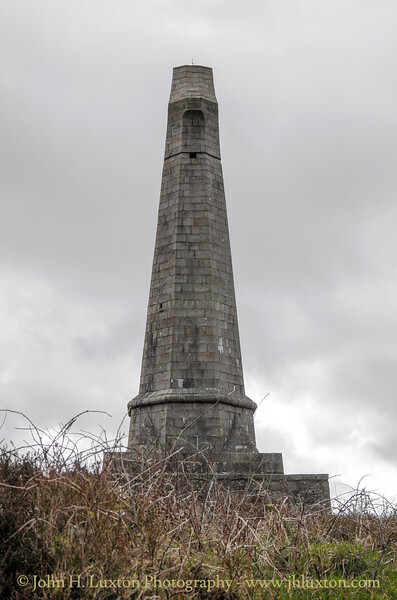 Stairs were built inside the monument to allow visitors to climb to the top, however, access to these are no longer available and the interior is secured by a gate. 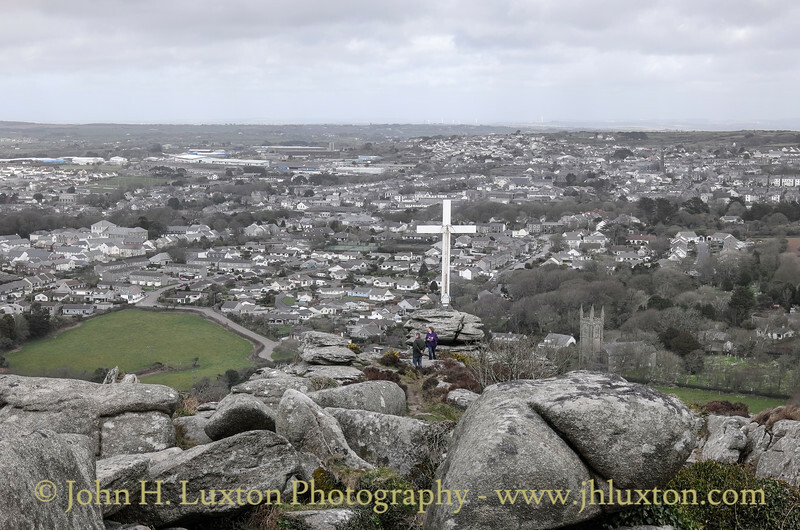 The Easter cross has been erected for 40 years on Carn Brea by the Redruth Baptist Church. 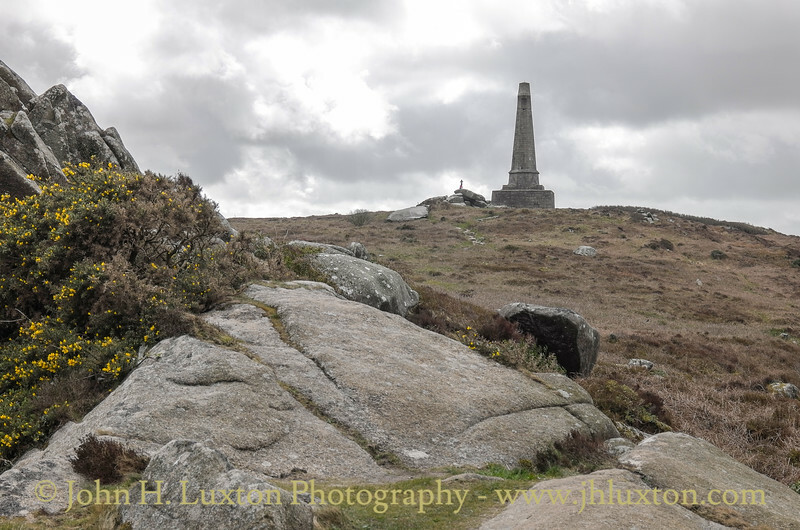 It was first placed in 1976. 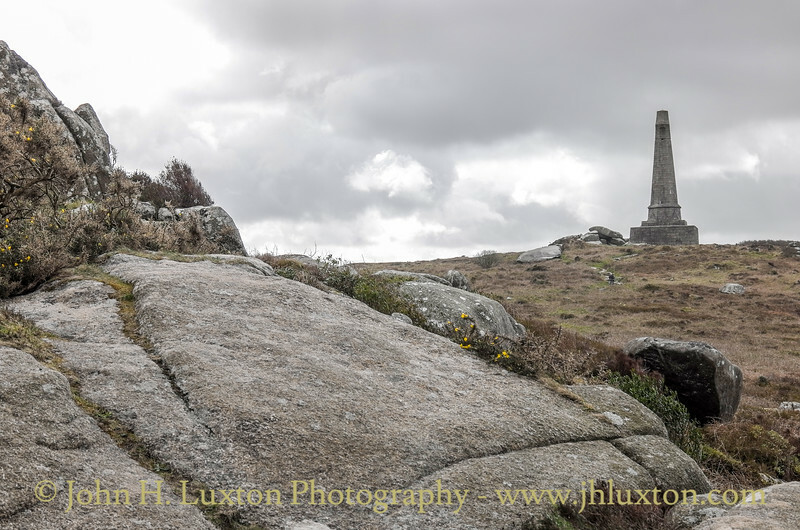 View from near the Basset Monument to Carn Brea Castle.